Edinburgh hosted two Royal visits when the Duke of Cambridge and the Princess Royal fulfilled separate engagements. 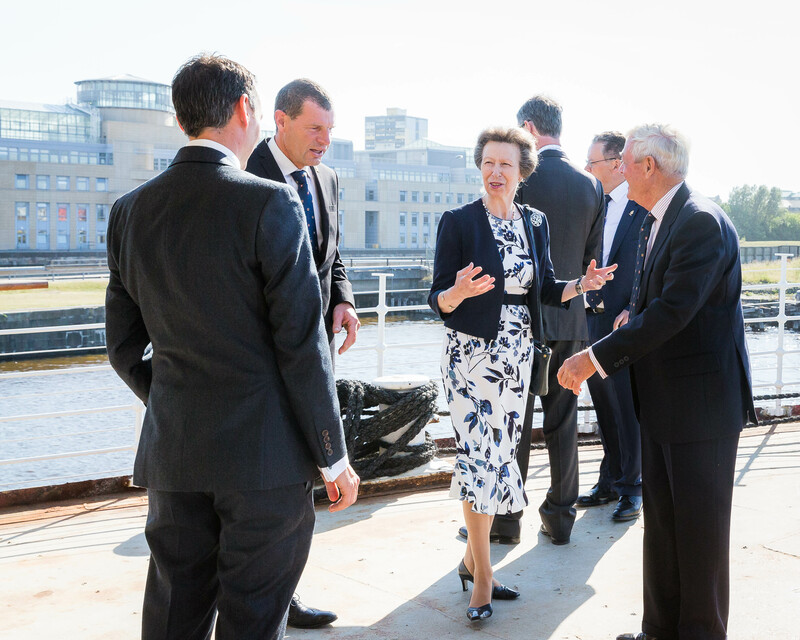 The Princess Royal, accompanied by her husband, Vice Admiral Sir Timothy Laurence, was given a private tour of the former Northern Lighthouse Board tender, Fingal. They were escorted by Rear Admiral Neil Rankin, chairman of The Royal Yacht Britannia Trust and Bob Downie, chief executive of the trust, to view the transformation of Fingal into a static 23-bedroom luxury floating hotel, a development by the trust’s trading company, which will open in the autumn. 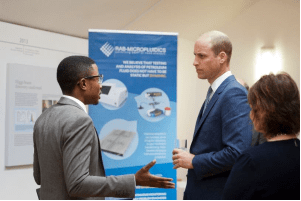 The same day, four Royal Society of Edinburgh (RSE) Enterprise Fellows were given the opportunity to showcase their start-up businesses and products to the Duke of Cambridge. The Duke was visiting the RSE to present the prestigious RSE Royal Medals and the IEEE/RSE James Clerk Maxwell Award. The Enterprise Fellows had an exclusive opportunity to talk to their Royal guest about their products and their entrepreneurial journey, even letting him test out some prototypes. Earlier in the day, he also signed the Fellows’ Roll Book to formally recognise his admission as a Royal Honorary Fellow, a title he was awarded in 2017. Rotimi Alabi, RAB-Microfluidic, whose product is a “lab-on-a-chip” which detects early problems when using heavy machinery. Its technology delivers faster and cheaper oil analysis for machinery than the current sample to laboratory approach. Carmen Cummiskey, TeqNox, which produces protective clothing for horse riders. It combines design, comfort and safety to create a state of the art equestrian body protection that enhances rider performance. Michael Harkins, Turtle Pack, a fun swimming aid designed for children aged 3-6 and was developed by Michael, who is a multi-award-winning swim instructor. The aim is to make learning to swim as fun as possible. Michael Tougher, Spark & Rocket Ltd, whose product, Soundbops, is a musical educational toy that allows children to learn how to use notes within music with a fun, engaging toy. The toy allows children to select notes with ease, build chords and control through a control panel. RSE President, Professor Dame Anne Glover (right) said, “We were thrilled to welcome His Royal Highness, the Duke of Cambridge, to present RSE Royal Medals and the IEEE/RSE James Clerk Maxwell Award and to officially recognise his status as a Royal Honorary Fellow of the RSE. David Climie OBE, Project Director, Transport Scotland, Edinburgh, has built a reputation as one of the world’s greatest bridge builders. Mr Climie’s contribution to bridge building around the world has resulted in economic and social growth for the countries he has worked in. He is awarded a Royal Medal for his outstanding contribution to the field of Civil Engineering, particularly for his work on the Queensferry Crossing. Professor Richard Henderson CH FRS, Emeritus Group Leader, the MRC Laboratory of Molecular Biology, University of Cambridge and Nobel Laureate in Chemistry 2017, is a pioneering scientist in the field of electron microscopy whose work has led to advances that have resulted in new treatments for various diseases, with a lasting impact on humanity. He is awarded a Royal Medal for his outstanding contribution to the field of Molecular Biology. Thea Musgrave CBE, internationally recognised composer and conductor, New York, USA, is considered one of the most influential and successful Scottish composers of her time. 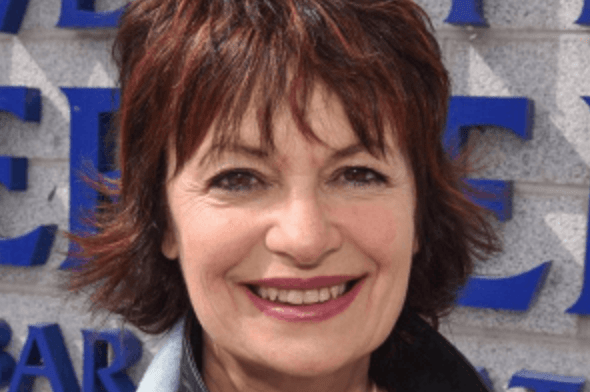 Through her work she has brought Scottish composition and musicianship international recognition. She is awarded a Royal Medal for her outstanding contribution to the betterment of humankind through music. The joint recipients of this year’s IEEE/RSE James Clerk Maxwell Award are: Mr Thomas Bryn Haug, Former Chairman, Special Mobile Group, CEPT ETSI, and Mr Philippe Raymond Dupuis, Former Chairman, Special Mobile Group, CEPT / ETSI. They have been recognised for their leadership in the development of the first international mobile communications standard with subsequent evolution into worldwide smartphone data communication.